Washington, DC – On March 7, VT-ARC supported an Air Force STEM outreach event at the Air and Space Museum. 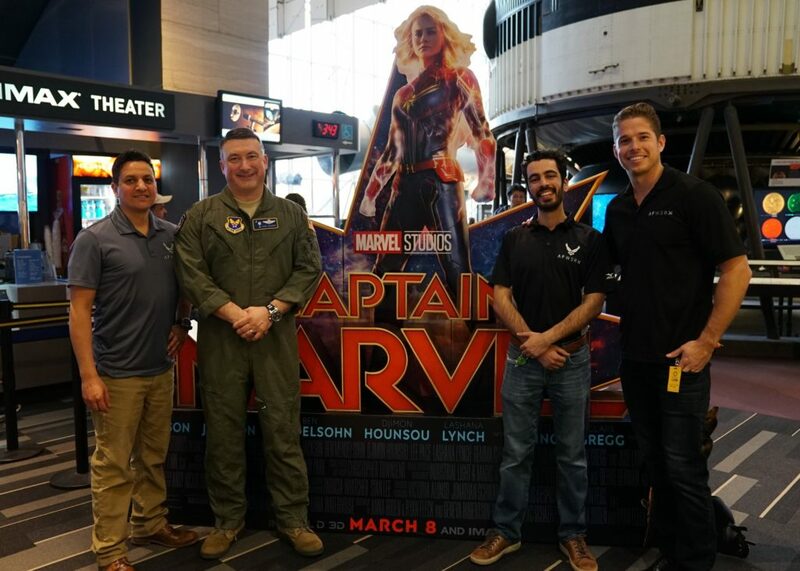 The event took place in conjunction with an early release screening of Captain Marvel which is a new installment in the comic cinematic universe featuring a female Air Force pilot as the protagonist. The AFWERX team demonstrated a tabletop 3D printer at the booth and discussed how AFWERX is helping the Air Force integrate these types of emerging technologies. Teams from the Air Force Research Lab (AFRL) and Air Education Training Command (AETC) also attended the event. VT-ARC provides analytics and service support to the Air Force’s innovation organization AFWERX. Under a partner intermediary agreement, VT-ARC manages the AFWERX-DC Innovation Hub located in Crystal City, Virginia and works closely with the AFWERX leadership to connect innovators and accelerate technology related to the U.S. Air Force.